In 2013, Amazon announced its plans for Prime Air, a drone delivery system to deliver packages to customer doorsteps in 30 minutes. Right now, Amazon has yet to roll out any concrete plans for the service because of FAA restrictions. UAV technology isn’t currently legal in the US, but the FAA has granted Amazon permission to begin testing a prototype, granted it fly no higher than 400 ft, no faster than 100 mph, and remain within the driver’s line of sight. Recently, Amazon filed a patent for docking stations that attach to vertical surfaces like street lights or cell phone towers. Potential benefits of these docking stations would be allowing drones to fly longer routes or to provide shelter when the weather is bad. 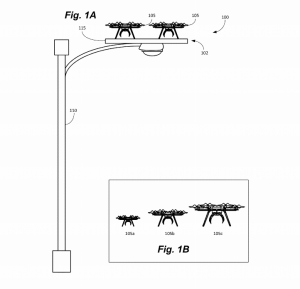 Amazon may also be considering using these docking stations as mini delivery hubs as some patent drawings show storage capabilities. Using existing structures could cut down on new construction costs and incorporate drone use into the existing landscape, beneficial for both Amazon and consumers. 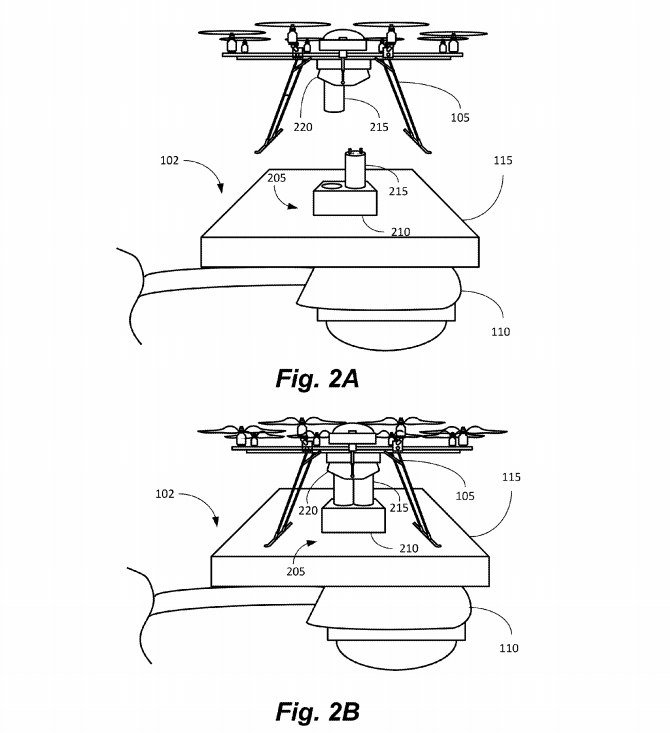 You can look at the technical drawings filed with the patent for more details on Amazon’s potential plans at the US Patent Office site, Patent#: US009387928. 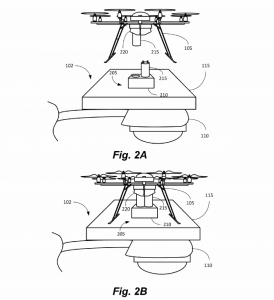 While patent filings don’t guarantee that these products will actually be developed, it is an interesting look into Amazon’s vision for Prime Air and drone delivery. But drones are only going to become more commonplace in the supply chain. ProMat 17 will be featuring a Solutions Center on autonomous vehicles and drones to help attendees adapt and adopt this new technology. Register for free today at www.promatshow.com.